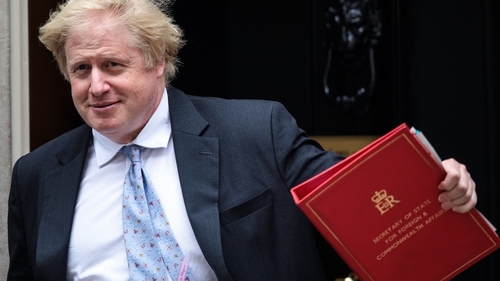 Boris Johnson has said that Britain's "Brexit dream is dying" following his resignation as the UK's Foreign Secretary this afternoon. His resignation came just hours after Brexit Secretary David Davis also resigned from Cabinet, with their departures throwing Theresa May's government into crisis. The resignations come just days after Mrs May secured a hard-won agreement from senior ministers on an EU exit strategy following a long meeting at her country retreat at Chequers. Jeremy Hunt has been named Foreign Secretary, while Dominic Rabb will take over as Brexit Secretary. In his resignation statement, Mr Johnson said that Britain was "heading for a semi-Brexit" and was on its way to having the "status of a colony". "The Brexit dream is dying," he said, adding that it was being "suffocated by needless self-doubt". Mr Johnson said he could not in all conscience champion Mrs May’s Brexit proposals and concluded that he had to resign. "We have postponed crucial decisions, including the preperations for a no-deal Brexit," Mr Johnson said. He added the "ability to diverge from EU rules seems to have been taken off the table". Mrs May said she was a "little surprised" by Mr Johnson's resignation, after he had agreed to her new Brexit plan last week. In a letter to Mr Johnson following his resignation, Mrs May said: "I am sorry - and a little surprised – to receive (the letter) after the productive discussions we had at Chequers on Friday, and the comprehensive and detailed proposal which we agreed as a cabinet. She added: "If you are not able to provide the support we need to secure this deal in the interests of the United Kingdom, it is right you should step down." Earlier, a Downing Street spokesman confirmed Mr Johnson's departure, with British media reporting that Mr Johnson had not finished writing his resignation speech before his departure was announced. Speaking in the House of Commons this afternoon, Mrs May paid tribute to her two former cabinet colleagues, but said "we do not agree about the best way of delivering on the EU referendum result". There was growing speculation about Mr Johnson's plans after he failed to attend a meeting of the government's Cobra emergencies committee, as well as a summit of western Balkan nations being held in London. In private, Mr Johnson had reportedly criticised Mrs May's plan for retaining strong economic ties to the EU even after Brexit, referring to the plan as "polishing a turd". Mrs May surprised many by appointing him to the Foreign Office, a position he has frequently used to forge a distinctive position on Brexit. 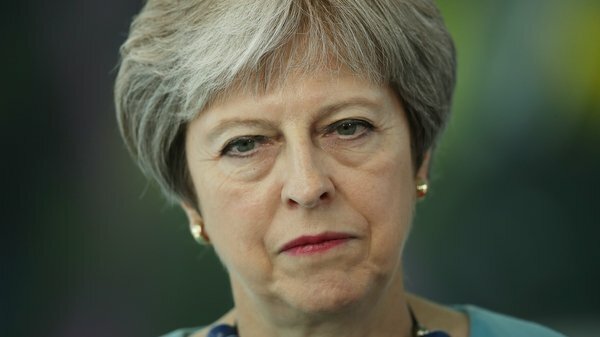 The two resignations leave Mrs May badly exposed at the top of a government unable to unite over Britain's biggest foreign and trading policy shift in almost half a century. Mrs May faced a meeting of her Conservative MPs this evening, with a number already calling on her to resign or face a leadership challenge. However, loud applause could be heard at the end of the meeting, which Mrs May attended for just over an hour. Leaving the 1922 Committee gathering, leading Brexiteer Jacob Rees-Mogg said he did not think there would be a confidence vote over Mrs May. The leader of the opposition Labour party said there was a crisis in Mrs May’s government and the future of Brexit was still unclear. Jeremy Corbyn said if Mrs May could not even broker a deal in her own cabinet then how could she expect to get a deal from the EU. Elsewhere, a spokesperson for Taoiseach Leo Varadkar said matters affecting the British cabinet were matters for Mrs May. European Council President Donald Tusk said the "mess caused by Brexit is the biggest problem in the history of EU-UK relations". In relation to the deal agreed at Chequers last week, Mrs May told the Commons: "This is a Brexit that is in our national interest ... It is the right Brexit deal for Britain." Calling on the EU to "intensify" negotiations over the summer, she said: "What we are proposing is challenging to the EU, it requires them to think again and look beyond the positions they have taken so far and agree a fair balance of rights and obligations." Mrs May spoke to several EU leaders over the weekend and she said that the indications were that the new proposals could ensure progress in the Brexit negotiations.